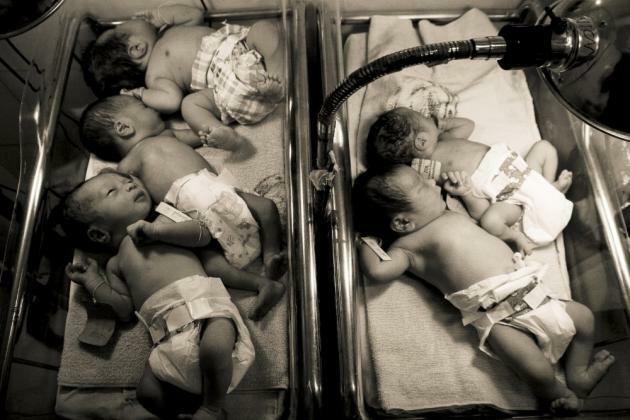 Thai officials have revealed that fourteen Vietnamese women have been rescued from an "illegal and inhuman" surrogate baby breeding ring. "We found 13 people in two houses when we searched, we found one more today at the hospital," said Lieutenant colonel Prasat Khemaprasit, of Immigration police. The woman at the hospital had just given birth. "Nine of the women said they had volunteered to work because they were told they would earn 5,000 dollars for each baby. Four said they were tricked," said Major General Manu Mekmok, commander of investigations for the immigration department. "This is illegal and inhuman. In some cases it looks like they were raped," said Public Health Minister Jurin Laksanawisit, who added that those carrying children would be cared for in a private hospital. Four Taiwanese, one Chinese and three Myanmar nationals were arrested in connection with the business and charged with illegally working in Thailand. A 35-year-old Taiwanese woman, who police said ran the operation, was also charged with human trafficking.